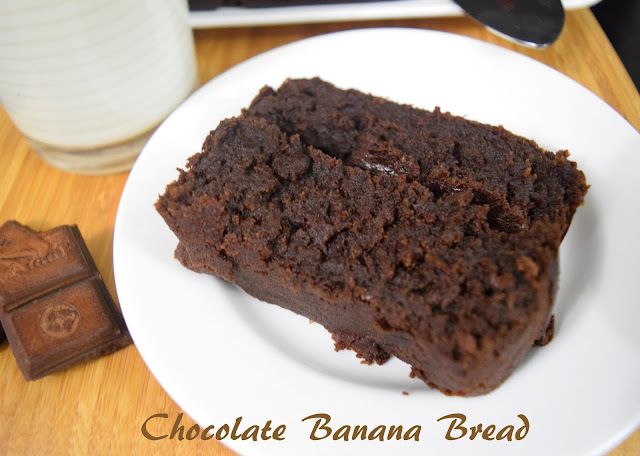 Having a warm chocolate banana bread on a rainy day is one such simple joy I experienced. God!!! I want to make this again and again. 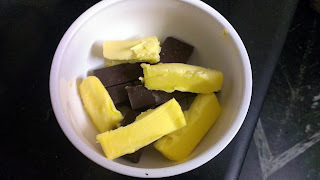 My Son loves Chocolate in any form and he had this as a snack every other day. I am sure he will not let me make plain banana bread ever again. 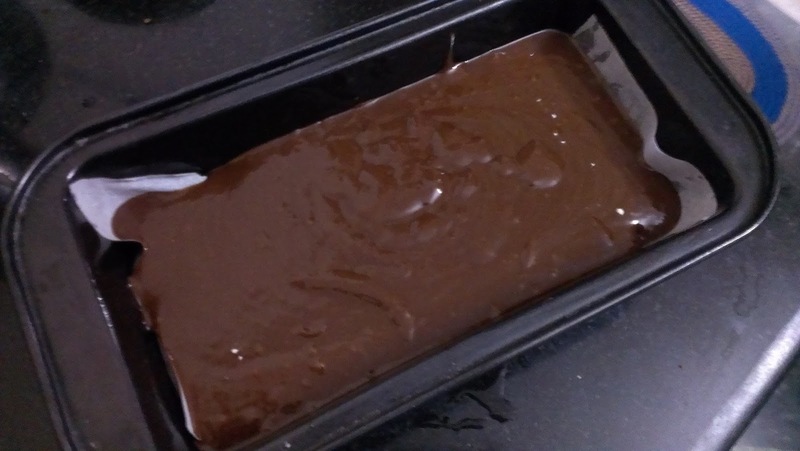 I happened to see a Chocolate Banana Bread recipe on TV using dark chocolate. 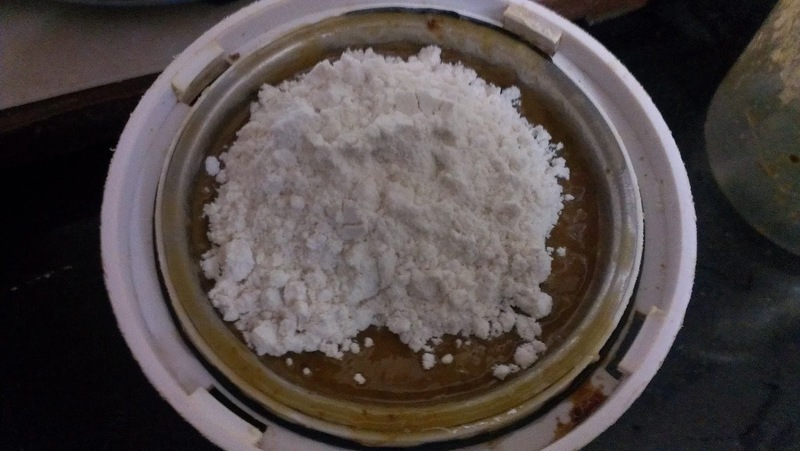 But I could not get hold of the right amount of ingredients. 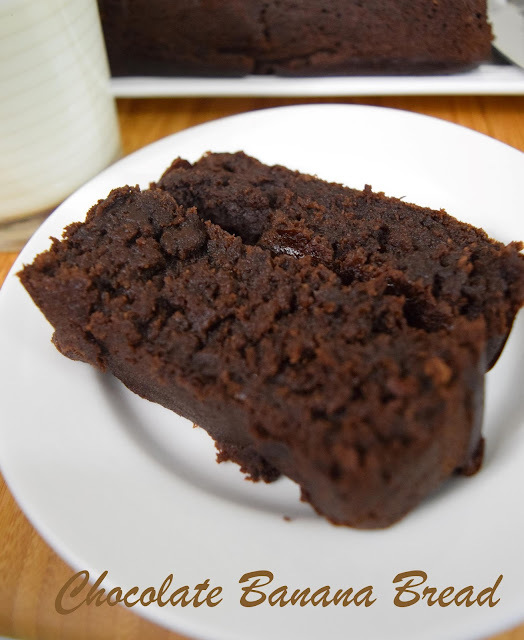 So, there began my search for an Eggless Chocolate Banana Bread using dark chocolate. I came across this version and tried it without eggs. I substituted the eggs with ½ cup of milk and made a few other changes and the results – yummy, moist, chocolatey!!! 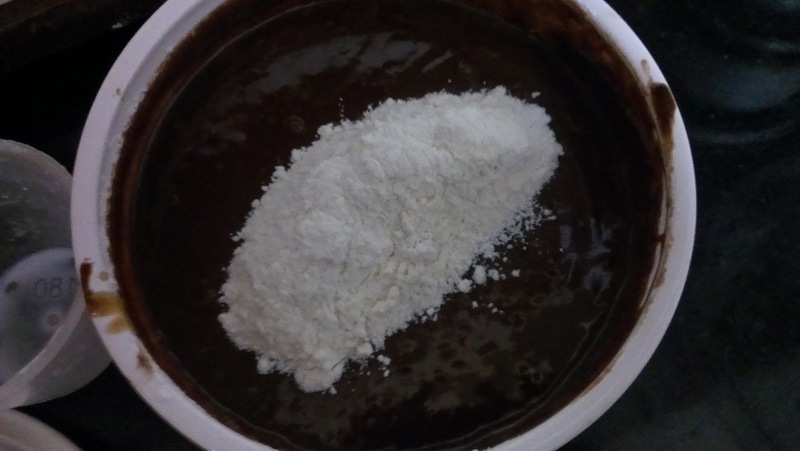 If you are new to baking, you must try this recipe. It is pretty simple. The use of dark chocolate gives it a brownie like texture .The colour and texture is here for you to see. Pre heat oven to 180 C (350 F). Take butter and dark chocolate in a microwave safe bowl and heat for 1 minute in the microwave. 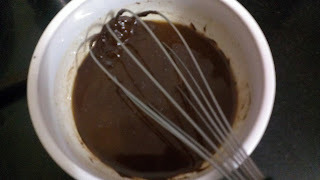 Mix thoroughly so that the chocolate is completely melted. Take bananas, sugar and milk and blend to a smooth mixture in a blender/mixer. 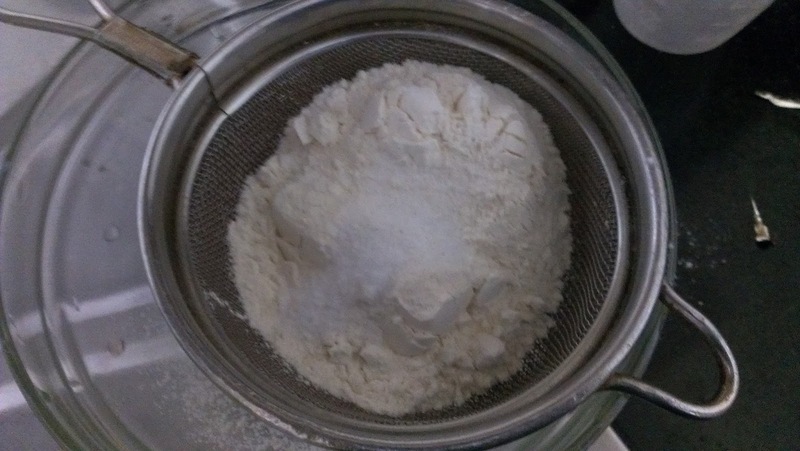 Sieve the flour , baking soda and baking powder and keep aside. 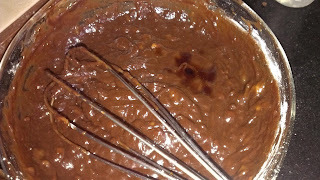 Mix the banana mixture and chocolate mixture thoroughly. Add the flour mixture to this little by little till it is thoroughly mixed. 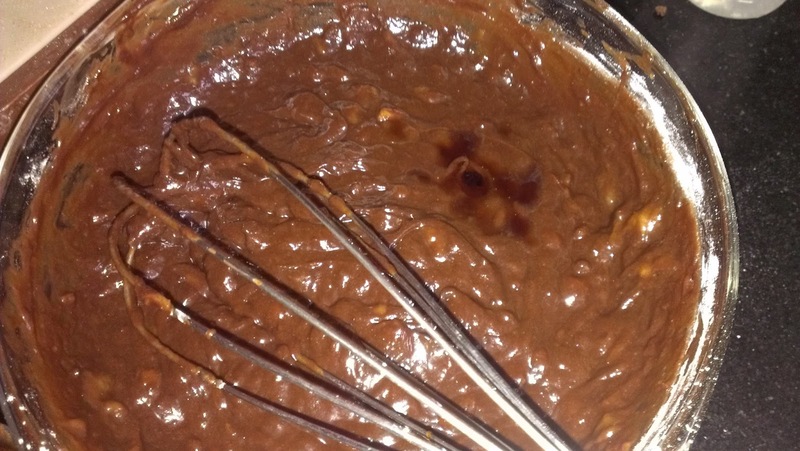 Grease a loaf tin and add the mixture to this. Bake in the oven at 180 C for 35-40 minutes till a knife inserted comes out clean. 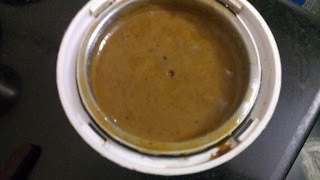 This recipe is an entry to Monsoon Snack Challenge for The Hub @ Archana’s Kitchen challenges and "We Should Cocoa". Thanks Savitha..Do try this and let me know how it was. This cake looks super squidgy and delicious. I like the texture of eggless cakes, but I've not tried one with banana. 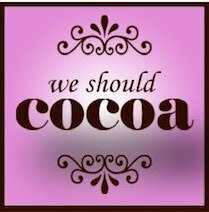 Thanks for joining in with #WeShouldCocoa.